In a recent order, Justice Manmohan of Delhi High Court has directed the Central Information Commission to start maintaining daily order sheets within six months. The direction came while disposing the writ petition filed by RK Jain, a renowned authority on indirect taxation, and the Editor of Excise Law Times. In his order, Justice Manmohan held that since the CIC is a quasi-judicial body, its records must reflect a true and correct state of affairs. Dr. LC Singhi, counsel for CIC, told the court that the CIC was willing to maintain daily order sheets, and sought time to evolve a procedure. Jain had complained that during hearing of his appeal in a recent case, it was allowed by the CIC, but in the order which was passed by CIC after a long delay, the appeal was dismissed. In 2011, Jain sought from the CPIO of the office of Commissioner of Customs (Import), Jawaharlal Nehru Custom House, Department of Revenue, Ministry of Finance, Government of India, located at Nhava Sheva, [Maharashtra] certified copies of all Appellate Orders passed by the First Appellate Authority with effect from 1 January 2010 to 14 April 2011 and provide a copy of the RTI order dated 24 December 2010. While sending his RTI application, Jain requested the CPIO to fill in the name, in whose favour the Rs.10 Postal Order, enclosed as RTI fee, is payable, as he could not get the details from JNCH’s website. 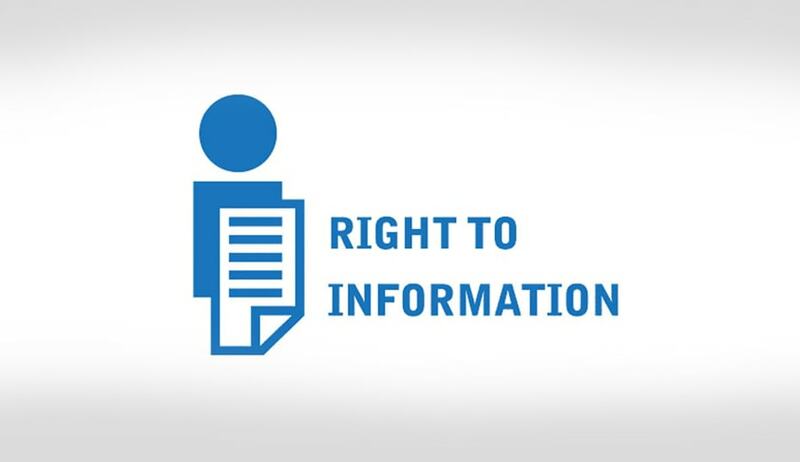 After 28 days, the CPIO rejected the RTI application on the ground that the PO was not made payable to anyone, without even informing in whose favour it had to be drawn. CPIO did not return the PO to Jain either. The FAA upheld the CPIO’s decision, but asked the CPIO to return the PO to Jain. Jain raised an important question of law on whether the Information Commissioners of CIC, after allowing the appeal during the hearing through video conference on 21 March 2012, could subsequently after a period of more than nine months pass an order, without factoring therein the arguments, submissions and observations made during the hearing or in the Memo of Appeal. Jain added that the question assumes importance because as a practice, no record of proceedings or order sheet of the hearings is kept by the Information Commissioners. Jain relied on the Supreme Court’s judgment in the case of Punjab National Bank v RL Vaid (2004) in which it was held that while disposing off the case, the court has to give the reasons for applicability of the decision to the facts of the case. Jain cited the Supreme Court’s judgment in the case of Anil Rai v State of Bihar (2009) wherein the Court had laid down that the orders should be pronounced within one month of hearing and where the order is not pronounced within three months of hearing, the aggrieved party can approach the court for the rehearing of the case. In another case, Shivsagar Veg Restaurant vs Asst Commissioner, (2008) the Bombay high court had held that the tribunals and constitutional authorities should deliver the reserved orders within three months from the date of final hearing and the delay in passing the order itself is a sufficient ground to set aside the order. The case of RK Jain was that the CPIO and the Appellate Authority had erroneously rejected his RTI application on the ground that the Postal Order enclosed with the RTI application, submitted by Jain, was not valid. During the hearing of his appeal on 21 March 2012, Sushma Singh, Information commissioner, allowed the appeal of Jain holding that the Postal Order was valid, and not blank as it contained the Rubber Stamp for name and address of the applicant. The CIC also expressed its unhappiness when the CPIO himself, on being asked, could not indicate the name in which the Postal Order was to be drawn. The CPIO had taken 28 days to inform the petitioner that fee submitted by him was not proper, whereas he is required to take action on RTI application within five days of the receipt, the CIC had noted. The CIC had also warned the CPIO for his casualness and uncooperative approach towards an RTI applicant. However, the same IC, Sushma Singh, delivered the order in this case on 10 January 2013, ignoring the facts and the submission. She advised Jain to make a fresh application with the prescribed fee. This inconsistency between the order of the IC during the hearing and the final order, passed after several months, dismayed Jain, who alleged that it had led to the complete failure of justice and fairplay. Jain, therefore, challenged the validity of the 2013 order in the Delhi High Court. According to Jain’s petition, there were as many as 159 cases heard by Sushma Singh as IC during 2011 and 2012, but which remained to be decided till 15 May 2013, as per the CIC’s website. The success of Jain, who is 77 years old, in making CIC comply with well-recognised norms, has been admired by the other RTI activists, who have also experienced similar injustice in the hands of the ICs. Justice Manmohan’s order, however, is silent on the other prayer of Jain to set aside Sushma Singh’s 2013 order. Jain had submitted, citing previous rulings of the Supreme Court, that pronouncements made in the open court have an overriding effect on the written order subsequently issued. He had also claimed that Sushma Singh, as IC, in her 2013 order did not deal with his contentions, and left the issue undecided. Jain, therefore, had sought setting aside her order on the ground that the Supreme Court had held in a case that application of mind and passing of reasoned orders are inbuilt into the scheme of the RTI Act.